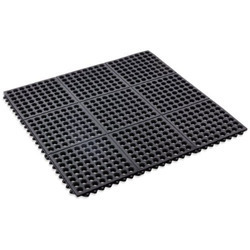 100% high quality rubber mat. Provides more horse & cows comfort Reduces bedding costs for long-term cost savings Interlocked edge shape mat provides comfort and traction for cows Insulates against cold and damp Grooved underside for effective drainage Also suitable for horsebox floors and ramps Designed to withstand heavy-duty wear and tear. Easy to clean and install. Polymax POWER rubber matting is made of solid shock absorbent rubber and is ideal for gymnasiums. With interlocking edging, to lock the mats in place. A non-interlocking version is also available, please ask. Solid patterned surface of the POWER mats provides a non slip surface. 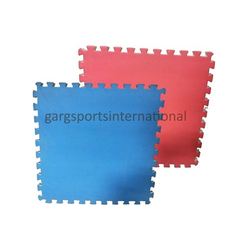 WE HAVE EVA PUZZLE INTERLOCK FLOOR MAT FOR INDOOR FLOORING FOR EVENT, PARTY , KARATE , GYM , DECORATING , MOSAIC. BELOW ARE SIZES OF MATS AVAILABLE. MAT WIDE : 300MM , 500MM , 600MM , 1000MM. MAT LENGTH : 300MM , 500MM , 600MM , 1000MM. Easy to install mats, available with and without interlocking facility. The design allows proper drainage facility too. Its insulation and resilience provides optimal comfort and hygiene for animals. Use in cow and horse farms. Mat Size: 1 Sq. Mtr.